A safe is a worthwhile investment for any business or home. Whether you are securing documents & cash or protecting irreplacable jewellery & sentimental items, we will be able to supply and fit a safe with the correct overnight cash cover and fire rating. 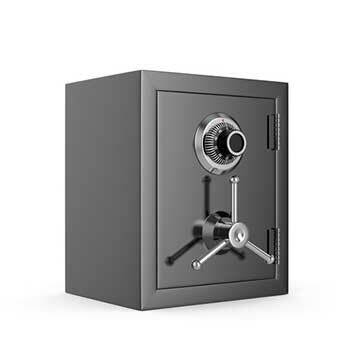 The over night cash cover is the security level or cash amount that the safe is covered to hold. Jewellery safes have a cash rating which is 10x the cash rating. A fire proof safe will protect your belongings in the event of a fire. Most have at least 30 minutes full fire protection but there are different ratings and many are cash rated too. At Solent Locksmiths, we can provide both new and reconditioned/second hand fire rated safes. 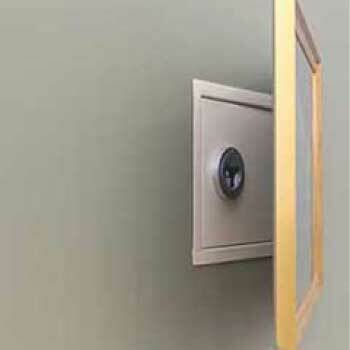 Wall safes are secured into a a solid wall for added security. A painting can be hung in front of it to hide it from potential intruders and thieves. Wall safes come in different depths for different recesses and depths of wall. A fire proof document safe is imperative to protect important paper, documents & files in the event of a fire. Birth certificates, Marriage certificates, passworts, wills, legal documents, deeds...a fireproof document safe will maintain a lower internal temperature for up to 2 hours. Lockable security cabinets, used mainly in business and industrial environments not only give you convenient storage but protect and secure the contents from opportunist thieves and some from fire. Whatever you require a lockable safe or cabinet for, Solent Locksmiths will have one which is suitable. Key safes are self explanatory, cabinets of all shapes, sizes and security ratings, lockers for schools and work premises to keep personal possessions secure. Freestanding safes are bolted to the floor. They are easy to install and placed in any location. 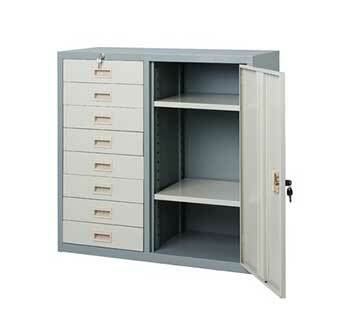 The advantage is that these safes can be of any capacity because they are freestanding and located wherever you wish. A disadvantage is that they are not concealed. A floor safe is a secure lockable safe which is imbedded into the floor, usually into the concrete foundations of the house. Provides good protection due to its solid fixings and can be concealled by a rug or carpet. The downside of floor safes is that they are not always easily accessible and in the even of a fire, they often fill with water from the hoses. Reconditioned safes are second hand safes. They are stripped back to their base metal and fully checked for any damage which could have occured through fire, drilling ensuring that its integrity has not been comprimised and security rating is still in tact. Once put back together, it is primed and resprayed and looks like new. Solent Locksmiths have two premises which cover Southampton, Portsmouth, Gosport, and surrounting areas. The offices are in Hedge End and Park Gate. All firesafe safes at supplied at competitive prices and installed by fully qualified locksmiths and engineers. We are agents for leading brand names including Chubb, Yale, Phoenix, Alpha and SMP, and offer a delivery service if required. If you are unsure of what safe would be best suited for you then please give one of our experiences team of locksmiths a call. We will guide you through your options based on your security requirements, what you are protecting and what available space and options your have.